Could regulatory gene Lsd1 have a central role in cell death in Alzheimer’s and FTD? Researchers from the Emory University School of Medicine (GA, USA) have demonstrated that conditionally deleting regulatory gene Lsd1 resulted in cognitive impairment, paralysis and learning and memory defects in adult mice. Alterations to gene activity in the Lsd1-deleted mice included signs of inflammation and changes to cell metabolism and signaling that resemble changes previously seen in humans with Alzheimer’s and frontotemporal dementia (FTD). The study, recently published in Nature Communications, concludes by proposing the gene as a central factor in these neurodegenerative diseases and a potential drug target. The Lsd1 (lysine specific histone demethylase 1) gene is an epigenetic regulator that maintains silence among inappropriate genes and is known to be important during embryonic reprogramming. Having previously researched the importance of the LSD1 in embryonic and sperm development, in this study, the team instead examined its role in fully differentiated cells. However, their initial intention was not to investigate neurodegenerative disease. The team reported that along with the cognitive impairment and paralysis in the mice there was striking neuronal cell death in the hippocampus and cortex regions of their brains. They suggested that neuronal cells of these regions are potentially more sensitive to Lsd1’s deletion because other tissues, including muscle, liver and kidney, did not undergo such cell death. The researchers continued by examining brain tissue samples of patients’ with Alzheimer’s and FTD, and were surprised to discover the accumulation of LSD1 in both neurofibrillary tangles in Alzheimer’s and TDP-43 aggregates in FTD. 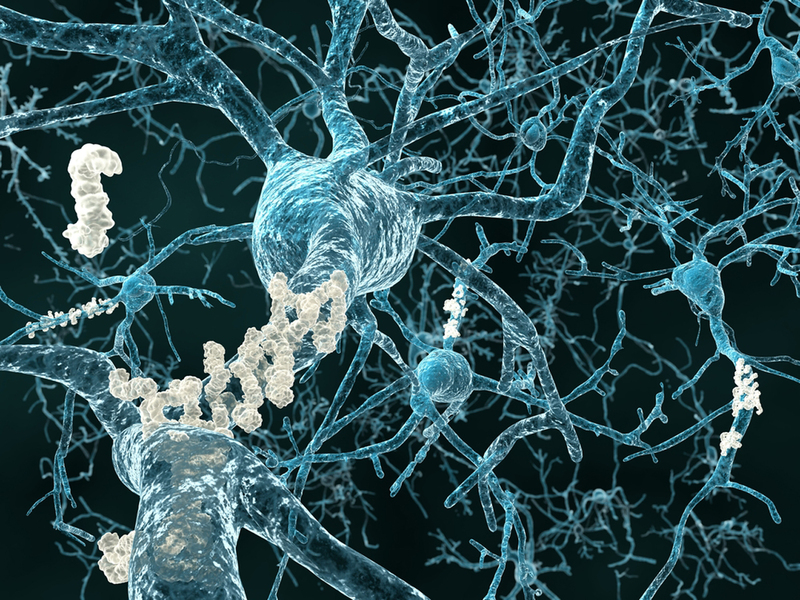 The team continues to investigate LSD1’s connection to known proteins that have a role in Alzheimer’s disease and FTD. This includes the protein Tau – a major component of neurofibrillary tangles in Alzheimer’s. David Katz concludes that drug candidates could be found among compounds preventing LSD1 from interacting with the neurofibrillary tangles or potentially boosting its function.